The other day I undocked telling myself it was to do some defensive plexing – to contribute to the alliance effort, as it were – but in my heart I knew I was simply spoiling for a fight. I scanned down a Tristan on a plex, warped to it, and found it on the acceleration gate 13 km away from me. I was so caught up in the need for a fight that I locked him up and put a point on him without thinking. As my Dramiel cut the drone boat to pieces, I realised I just didn’t care who he was or what he was doing there; all I cared about was the fight. As the Tristan exploded, I was informed: “Your security status has been lowered.” The Tristan had been neutral. Historically, the line between privateer and pirate has always been vague. A privateer, sometimes called a ‘corsair’, was little more than a pirate with a license, sanctioned by the state to raid and plunder enemy ships at sea. 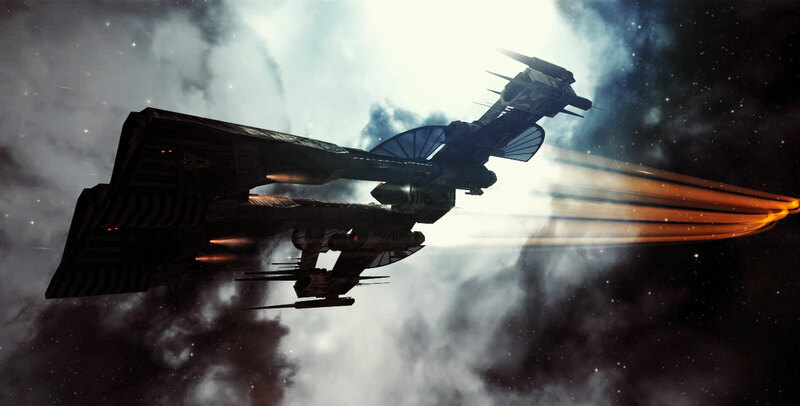 In EVE, a privateer is in many ways similar to the soldier I covered last week; Faction Warfare provides war targets, LP stores provide the ISK and the militia provides fleets, intel and logistics. However, privateers are fundamentally different in that they also engage neutral targets, a choice that presents unique problems as well as possibilities. The decision to join Faction Warfare can be a slippery slope. All too often it starts with honour, ideals, and identification with your militia, but we often see these concepts fade over time. The fight itself becomes the way of life, a martial faith with a dogma of its own, where hostility is the sacrament and the killboard the holy scripture. You find yourself in an endless maelstrom of fire and death – innocent neutrals be damned – inexorably pulling you towards the life of an outlaw at -5 or lower security status. In many ways, living the life of the privateer is the best way to ensure a constant stream of fights. Unlike the standard pirate or outlaw, you have a militia to fall back on. This does deprive you of some targets, but in return provides easily accessible allies, intel, fleets, and ISK – letting you focus on fighting. While this seems like an easy trade off to make, there is another complication to consider. You’ll be thrown into the mix with regular, law-abiding militia members that value their sec status, or worse yet, members that have ideas about what is “right” and “wrong.” That means you will inevitably find yourself the only person shooting at that Caracal that just came on field, despite being surrounded by a dozen erstwhile friends. Just as with the Faction Warfare soldier from last week, the privateer will find value in determining which fleet commanders in their militia engage neutral targets. 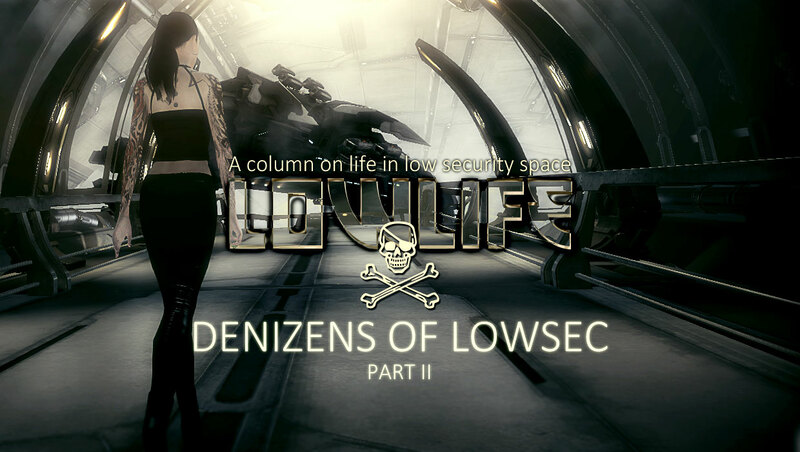 If you enjoy engaging neutrals now and then, but don’t want to take the full plunge into outlaw life, you’ll have to balance out your piracy with ratting and collecting security tags when possible from clone NPCs. Security tags can be turned in for a considerable buff to your sec status. If you’re both rich and lazy you can just buy them as well. You can learn more about security tags here. If you’re finding it hard to stay on the straight and narrow, or just don’t care one way or another, then by all means: read on. Taking the leap from pirate to outlaw under the flag of a militia changes some very important aspects of your EVE life. Such a step should not be taken lightly. Life below the -5 line is a double edged sword. Outlaw status means other capsuleers may attack you anywhere, without fear of gate or station guns, or a hit to their security status. You will also be drawing a lot more attention to yourself when you appear on grid or in local. While this makes your life quite a bit more precarious, it also means you leave the door open for more fights. Often, people want to fight you on a gate, but can’t because of gate guns. Outlaw status gives your potential enemy that option, for better or worse. Besides, being blinky red is cool, everyone knows that. New players soil themselves when they see you and everyone assumes you’re out to get them – it’s got that ‘bad boy’ appeal to it. Flying in mixed company as an outlaw presents the unique problem of not being able to count on anyone’s help. Should you get redboxed by a neutral while your fleet is sitting on a gate or station, you have to assume you are on your own, unless of course the fleet is willing to take the sec hit and able to tank the gate guns. Often you’ll find yourself flying in fleets of frigates or destroyers – ships that can’t tank gate guns. In that case, the most viable option is for the fleet to align out and provide support until fired upon. Fair warning, though: if you have inexperienced pilots in your fleet things can get messy. If you see the possibility of a situation like this arising, inform your fleet that you are an outlaw – most people in your militia won’t be able to tell by looking at the overview. This gives a chance for your FC and fleet to act accordingly. 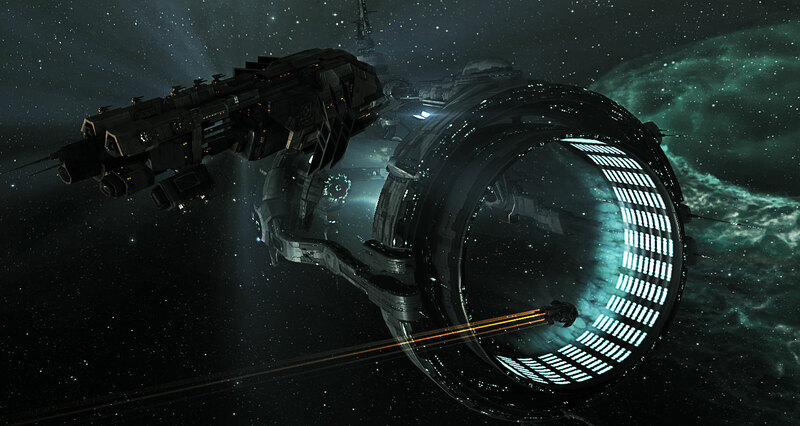 Negative security status limits your movement through highsec space and once you turn desperado at -5 you’re virtually bound to lowsec and nullsec. You can move fast, agile ships through highsec with some skill, but you need to stay moving to avoid the faction police and other capsuleers. You will want to arrange your supply of hulls, modules, ammo, and other ‘perishables’ before this happens. Using an alt for hauling is common, but you can also look to your mates in the militia – many FW corporations have jump freighter services that will cost you a lot less than Black Frog logistics, for instance. Finally, militia pilots with less than -5 sec status are not able to participate in highsec raids on enemy territory – something many experienced pilots and fleets will try now and then. Faction Warfare pilots entering enemy highsec will be attacked by the slow and relatively weak faction navy, whereas FW pilots that are also outlaws are attacked by the faction police who are not only faster to respond but also hit harder and will warp scramble you. If you feel your trigger finger itching the next time you see a neutral hang around grid for a tad too long, I challenge you to try the life of the privateer. But a word of warning: sin begets sin and you had best be ready to pay the piper. The road to hell is paved with a greed for killmails and the climb back to grace is steep.